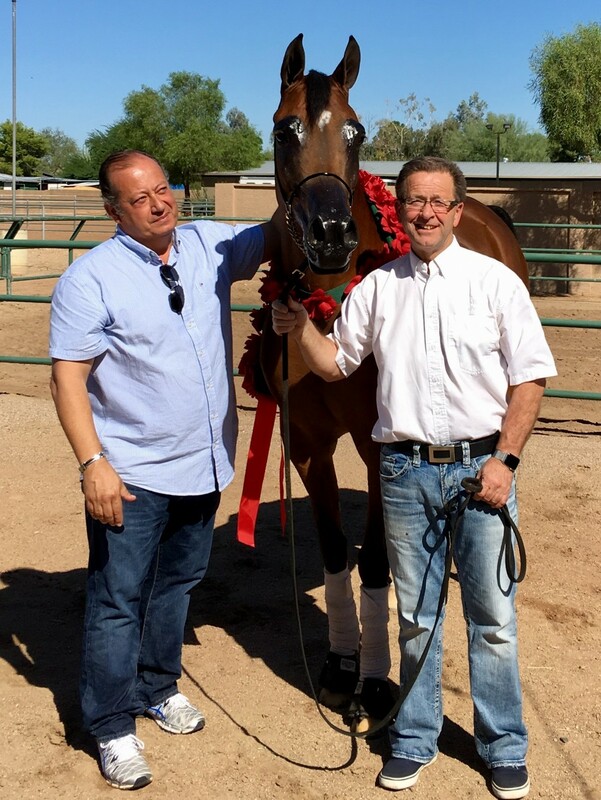 Thank you to Royal Arabians and Guzzo Worldwide for a wonderful morning spent visiting with Multi-National Champion RD Marciena - (National Champion Yearling Filly & National Champion Futurity Filly) sired by QR Marc and out of NW Siena Psyche. We, at Rae-Dawn Arabians, are incredibly proud to have bred such a beautiful horse and we wish Rodolfo Guzzo and RD Marciena the best of luck as they compete for the National Championship roses at the U.S. Nationals in a few weeks. Congratulations Cindy & Mark on adding this gem to your already outstanding collection of Arabian horses at Royal Arabians.